EXCLUSIVE! Knitting is more popular than ever. 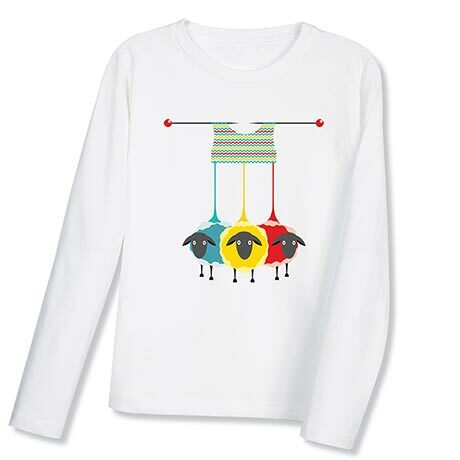 Show your love of yarn and where it comes from - or delight a friend who knits - with this fanciful, colorful shirt. White scoop-neck ladies' tees are soft 100% ringspun cotton. Sizes S-XXL. Imported.